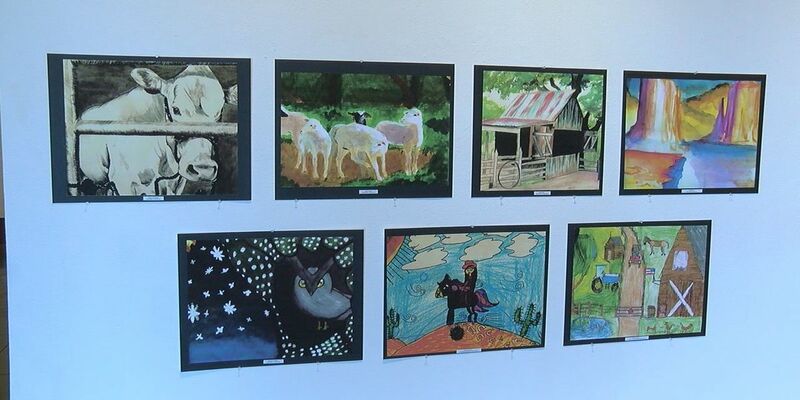 LUFKIN, TX (KTRE) - Hundreds of artworks from students from Lufkin and Hudson school districts, focusing on rodeo events and western heritage and culture of Texas are being displayed on the walls of the Museum of East Texas. “It’s something that any kid can enter and feel good about and get to see their work and have it judged and have a ribbon and they are excited about. For years to come I’ll see them at 18 and they say oh I entered that and I got a blue ribbon, I was first place,” said Melanie Moses, District Representative for the Houston Livestock Rodeo School of Art Program. Students from K-12 compete against thousands of artists for ribbons, medals, scholarships and spots in art schools in Houston. “They know that it is one of the top contests that they can auction off and earn real money not just scholarships and they know how competitive it is they have to find that one thing that will put there’s over, makes it original, more creative to make it pull at peoples heart strings,” said Moses. Besides the competition, students also get a chance to bring what they see every day to life, according to Lufkin Fine Arts Educator, Denise Davis. “It’s an opportunity to get students to take a step back and look at where they are from and not only that but the history of where they are from, so that gives us an opportunity to focus on that when so many times we don’t pay attention to it,” said Davis. Most importantly, school officials said their ultimate goal is to celebrate the student’s talents and allow the community to see all their hard work. “When the museum opens their doors and let us put the work in the museum setting I think it makes the students feel stronger in their skills, it also lets them know that they are important, and it lets the community know they are important,” said Davis. The Houston Livestock Rodeo School Art Competition will be on display at the Museum of East Texas until February 5th. Opening reception for the public and parents will be held on Tuesday, January 22nd from 4 p.m. to 6 p.m.